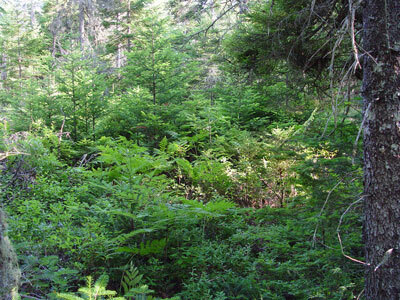 There are no documented occurrences of rare animals within this Ecoreserve. 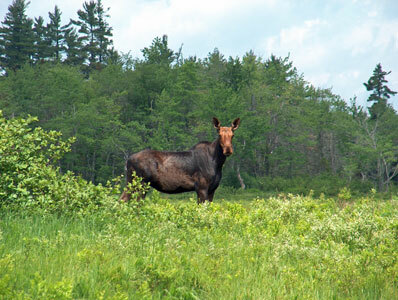 For more information on rare animals in Maine, visit the Maine Department of Inland Fisheries and Wildlife. 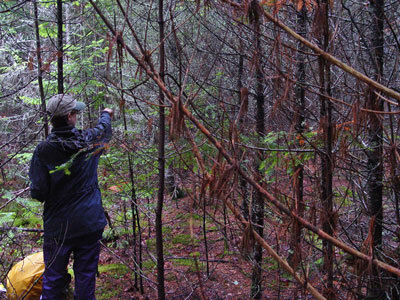 At over 7,000 acres, the Great Heath is the largest peatland in the Downeast region, and it is one of the largest multiple-unit peatlands in all of Maine. It extends on both sides of the Pleasant River as it meanders through the confluence of the Taylor and Ingersoll branches in Columbia and T18 MD BPP. The Great Heath has been studied by several researchers, most notably Davis and Anderson in 1982. 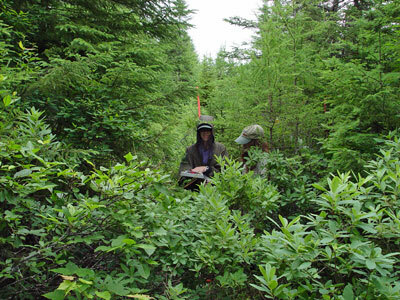 Huge and diverse, this multiple-unit peatland is noteworthy for its variety of peatland types. It encompasses an unpatterned stream drainage fen, an unpatterned open basin fen, and a level bog. 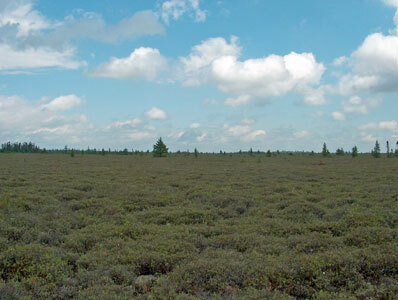 Morphologically, the peatland is composed of seven coalesced areas, each consisting of two or more raised units. Some of these raised units are visibly domed and exhibit concentric patterns. There are also scattered secondary pools. 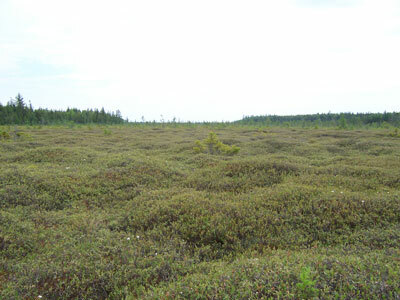 The large raised portion is intermediate between coastal plateau bogs and inland raised bogs. 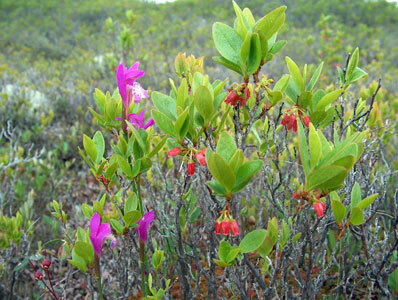 Plants characteristic of coastal peatlands include lichen lawns, deer-hair sedge (Trichophorum cespitosum) communities, abundant black crowberry (Empetrum nigrum) and dwarf huckleberry (Gaylussacia dumosa var. bigeloviana), as well as scattered dragon's mouth (Arethusa bulbosa) and baked appleberry (Rubus chamaemorus). 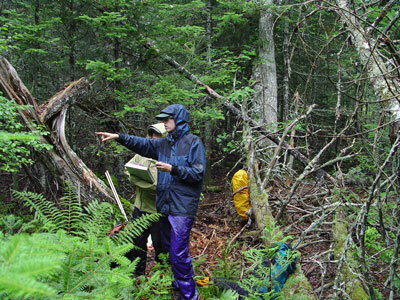 The geologic features surrounding the peatland complex are also outstanding. The west side of the peatland is bordered by an esker. The Pineo Ridge, a terminal moraine of a late-glacial origin, borders the south side of the peatland and grades into a glaciomarine delta. 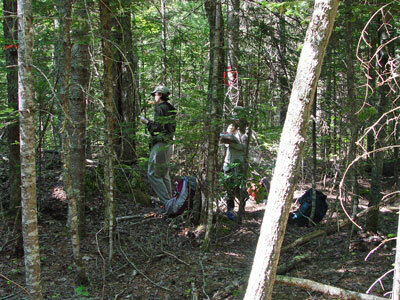 These glacial features likely played a role in the peatland's formation. Calijouw, C. 1982. 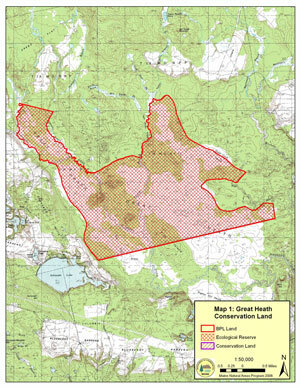 The Great Heath: A Natural Areas Description, Bureau of Public Lands, Augusta, Maine. 43 pp.